Was she an online dating newb? 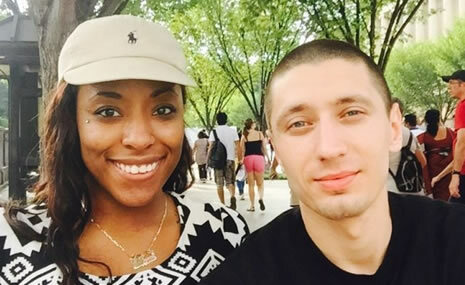 “Yes, this was my first experience with online interracial dating, and I’m happy to call it my last,” beams LaTayza. Given their trepidation, it is kind of funny that it took LaTayza just a month of membership to find Vitali. He had barely logged in, before that. “I was on the site maybe half a year, but I didn’t really use it before we started talking,” admits Vitali. After the success of their first date, the duo felt certain they would do this again. 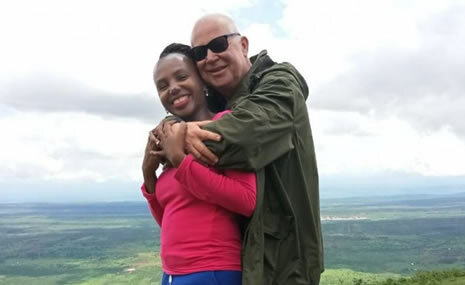 “I wasn’t only sure I wanted to see him again, I knew he was someone I wanted to spend my life with,” declares LaTayza. Vitali had his own view of it. “My obstacles were her ex and thinking that some guy would try to steal her from me because I wasn’t there with her,” he says, voicing a concern that many in long-distance relationships share. But no exes or new contenders could tear these two away from each other. The sometimes-bumpy road led them to a happy destination: engagement! “He asked me on Skype, just joking to see what I would say, but when he asked in person I knew he was serious,” LaTayza informs us. “She changed my life because she’s the girl I’ve always been waiting for. I’m a little upset it took her so long,” laughs Vitali. 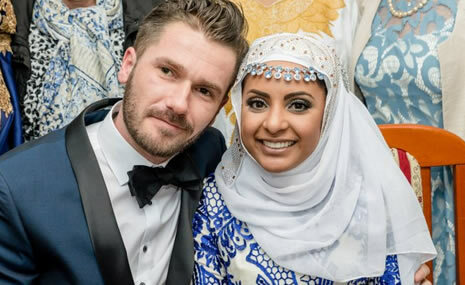 For LaTayza and Vitali, their patience was rewarded. 771 responses to "Would their exes ruin this romance?" Exes are Exes, so they are in the past now, all you have to do is move on with the new romance. There couldn't be a possible way the could ruin your romance if u guys fully love each other keep it moving. Love never fails its people who does the falling. My ex wants me back but no deal. It is good like that . I love that,..all the best,..
it inspired me ,and highly intrested to meet,a wonderful woman as well,therefore I solicit and count for your eariest kind competend consideration as well. Hi P2pat. Your prayers will be answered. I'm single and searching. Congratulation is all i wish. Every member may got there partner of future life with happy and healthy life.